Chimp wins a huge art award in the US! 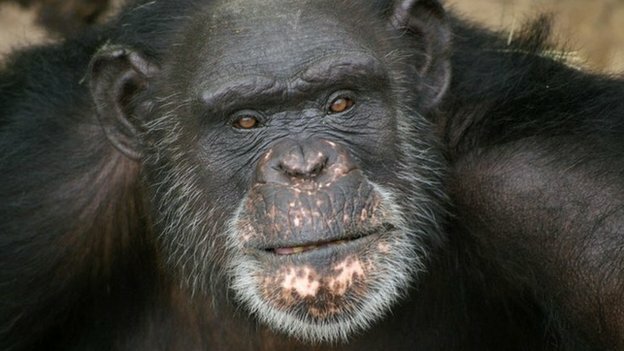 A 37 year-old chimp called ‘Brent’ has won a huge art prize in the US for his painting. Don’t run to your underground shelters just yet though. The chimps aren’t taking over. This was a competition JUST for apes to enter. (No humans were harmed or outdone by this chimp artist). The art prize is sponsored by a charity called the Humane Society of the US and the $10,000 that Brent won will go to improve ‘Chimp Haven’ where he lives. We were just going to show you the winning painting but thought up a fun little game instead. Below there are 4 paintings. 3 were made by human artists and one was created by Brent the chimp. Tell us which one you think is Brent’s in the comment box below. 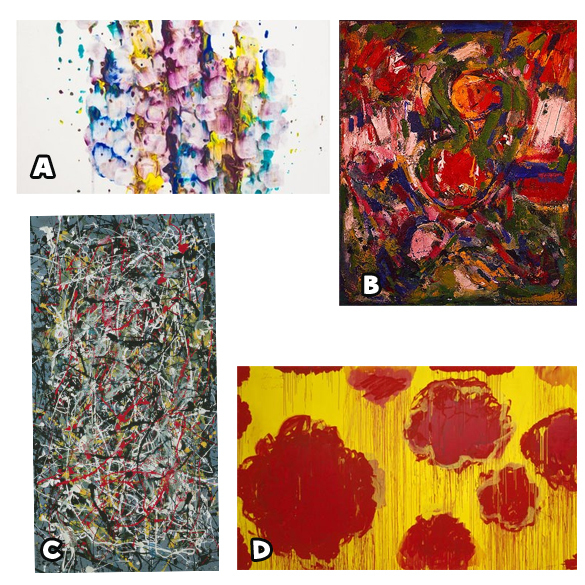 What one do you think was painted by Brent the chimp? Let us know in the comment box below.